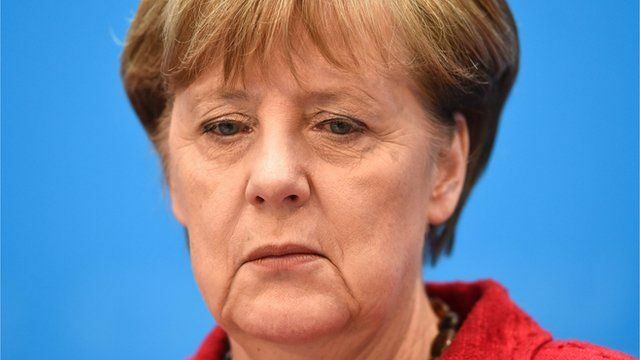 Germany's Merkel suffers election setback Jump to media player The party of German Chancellor Angela Merkel has suffered defeats in two of three states holding regional elections, exit polls suggest. German plan to shake up deportations Jump to media player Germany is to make it easier to deport foreign criminals following the sexual assaults in Cologne on New Year's Eve. How Germany's election works Jump to media player Berlin correspondent Stephen Evans explains Germany's voting process and how the distribution of seats in the Bundestag is decided. The party of German Chancellor Angela Merkel has suffered defeats in two of three states holding regional elections, exit polls suggest. Jenny Hill reports from Berlin.